Napoli is one of the most beautiful cities in the world. In your itinerary of what to do in Naples Italy in 2 days, you will discover all the best things to see in Naples Italy. Napoli is the city of love, food, and good weather. If you are planning a honeymoon, our local guide, we will show you the most romantic things to do in Naples Italy. 1 day in Naples Italy is your excuse to stop by and explore this charming city which you will love. Going up and down the narrow streets, you will discover the most instagrammable places in Naples Italy. 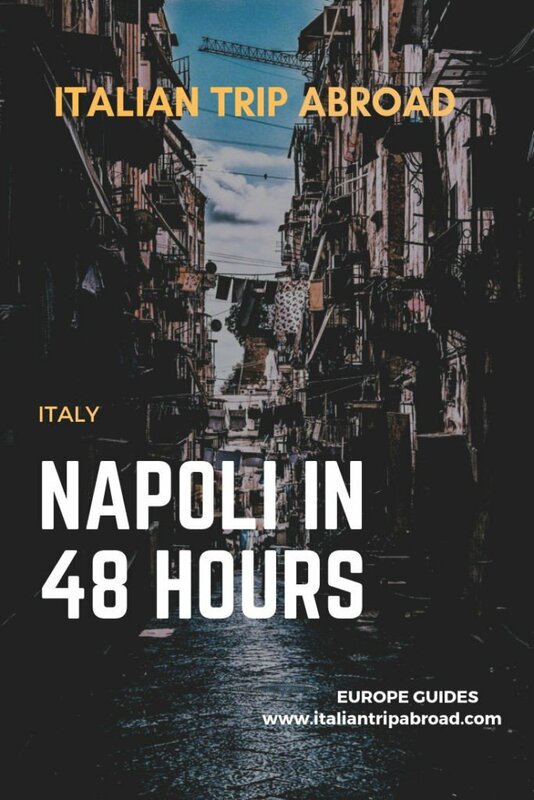 This southern Italy, completely different than the north part of the country, rich of history and amazing landscapes, hope you are ready for the unique things to do in Naples. 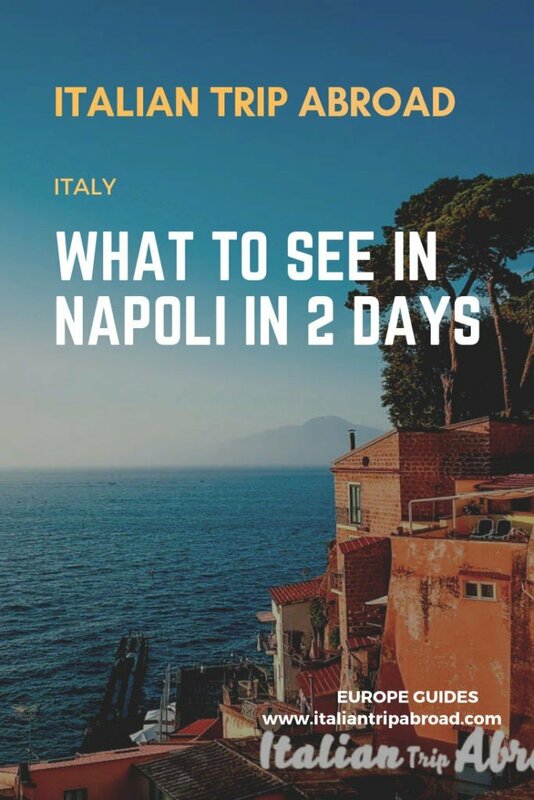 All you need to know about Napoli in 2 days is here! 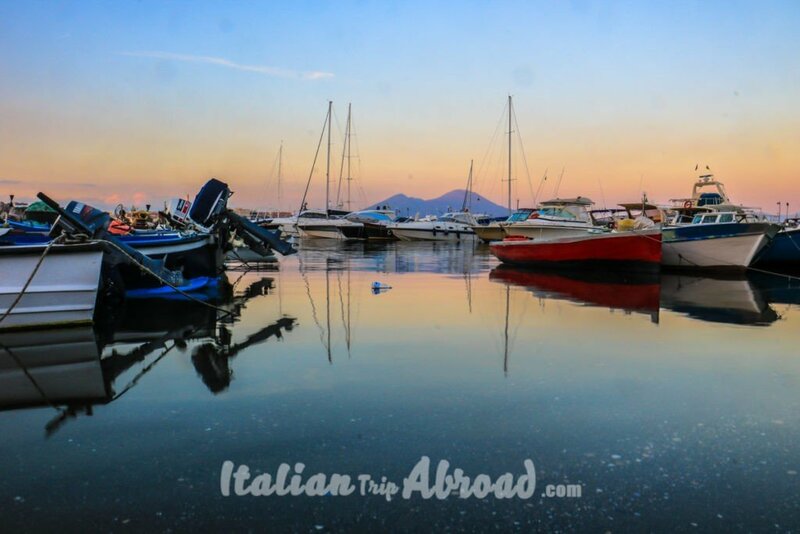 Is Ischia or Capri worth visiting? Not just a list, but a full itinerary of the best things to do in Naples. We hope you will enjoy our guide, helping us to improve it if necessary with your suggestion. If you haven’t planned yet what to see in Naples in 2 days, this is the perfect place where find tips offered by locals. We come from this amazing city, now expatriate, are trying to help travelers to discover the best our city has to give. Enjoy Napoli in a weekend or stay more, as we suggest stay at least in Naples for 2 days. Piazza Plebiscito is one of the most instagrammable places in Naples Italy and you can’t miss it. It is the main square in Napoli situated in the middle of the city center. The best time of the day to visit Piazza Plebiscito is during the sunrise. The colors around are just stunning. At the sunrise, nobody is around so you can take the best shots and improve your gallery of most instagrammable picture of Naples Italy. Let the imagination work and you will see how many photos you can take in just one place. This is one of the reasons why Piazza Plebiscito is one of the romantic things to do in Naples Italy. Explore all day Naples, but make sure to come back here when the lights are down, at night it is so awesome. Naples’ Royal Palace is a stellar reminder of this city’s royal history. This stunning Royal Palace holds the center of attention in the Piazza del Plebiscito and sits opposite the Basilica Reale. 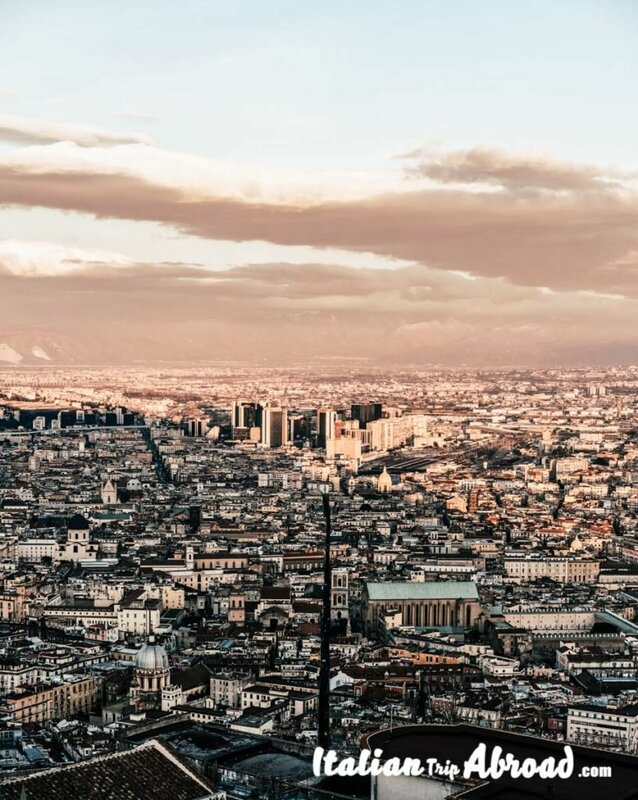 The rounded square seems to hug the Royal Palace, on one side the Umberto I Gallery and on the other a slice of the Golf and the Mount Vesuvius. The history of Naples’ Royal Palace is complicated. The region itself was ruled by so many different countries and families in the years before Italy’s unification. Set on Piazza del Plebiscito, and near Teatro San Carlo, it is more than worth a detour to this corner of Naples to discover another side to the city. Galleria Umberto I is a public shopping gallery in Naples, Southern Italy. It is located close to Piazza Plebiscito, only 5 minutes away by walk. One of the best things about Galleria Umberto I, is that during Xmas time there is a huge Christmas Tree. On top of it, everyone can put on a letter addressed to Santa Clause. During your visit to Galleria Umberto I, you can’t miss the famous sfogliatella break. It is true we love to eat at any time of the day. During your walk and between one picture and another you need energy, so you have to try the lovely sfogliatella. A day in Naples Italy will be full of emotions and creativity. If you will spend just a day in Naples you should get up early and explore this amazing city. Located on Via Duomo, the cathedral is accessible via the Museo metro stop but also has a regular bus service. This religious building combines a myriad of styles including Gothic, Renaissance and Baroque. In your itinerary of what to do in Naples Italy in 2 days, you can’t miss visiting the famous Cathedral, one of the most important monuments in Napoli. If you are heading to Naples on the 19th of September, it is well you know that all the city stops for the Patron Saint of the city. The Cathedral of Napoli is close to Spaccanapoli, the street that cut in two half the city. This is the place where the tastiest pizzerias are, go ahead and try the best pizza in Naples discovered by locals. Find the space to visit Cappella San Severo. It is becoming a must do in Naples, one of the masterpieces of Italian Art. It is a white marble statue of Jesus Christ with a veil on top. The Church of Gesù Nuovo is in the old town, close to the Cathedral. It is the heart of Napoli, placed in the middle of SpaccaNapoli, where was the ancient city centre of the town. This is the main seaside road, here you can see many landmarks. Some of that is far, on the hill, like the Castel Sant’Elmo, some others nearby, like the Castel dell’Ovo. During your visit to Napoli one of the romantic things to do in Naples Italy, for sure, is walking through Via Caracciolo. This is one of the most stunning views of the city. The Vesuvius and Castel dell’Ovo. If your plan to visit Napoli is during summer or spring, the best time to have this enjoyable walk is during the sunset. After 6 pm, you can enjoy this walking, as it won’t be so hot. It is perfect for a honeymoon as well, especially if you plan to stay for more than a week. 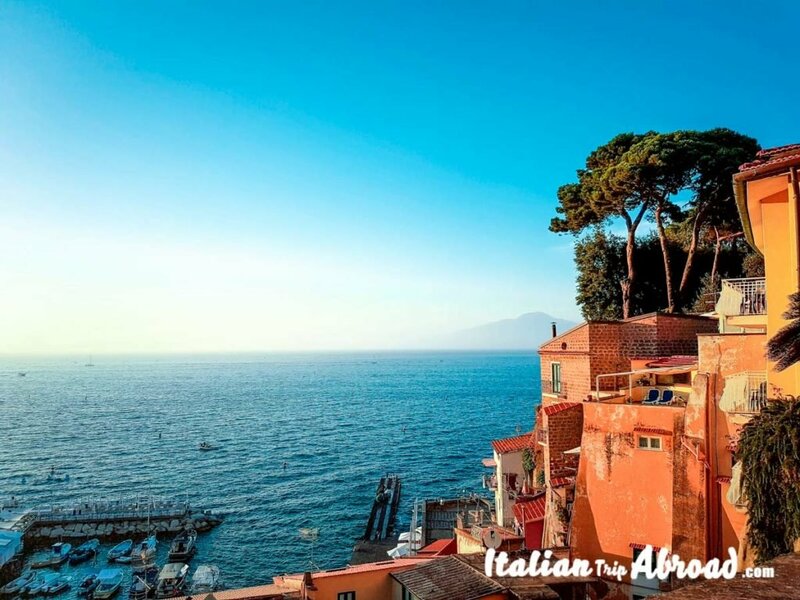 If you stay more than 2 days in Naples, this allowance will take you to discover the neighborhood, such as Amalfi coast, Sorrento, Positano, Pompei, Ischia or Capri, and Procida. 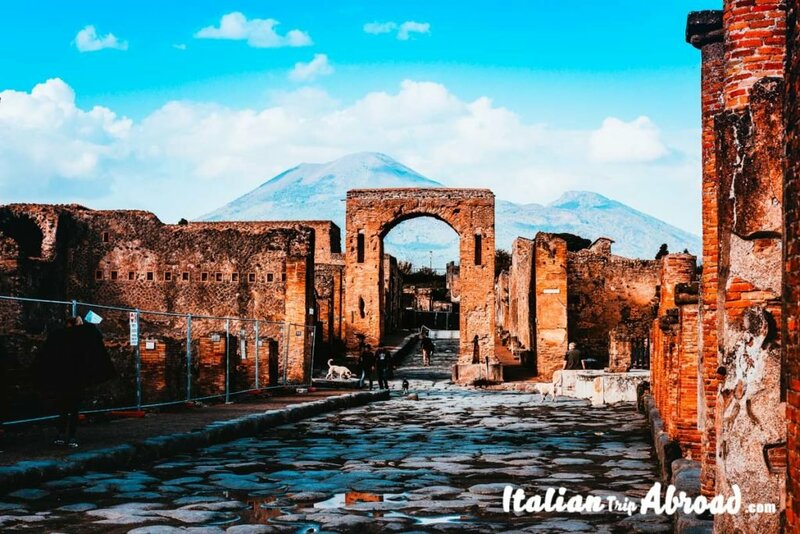 Pompei was an ancient city that sat in the shadow of the iconic Mount Vesuvius. Today you can visit Pompeii and walk through the extensive ruins. Particularly interesting sights include the Amphitheatre, the case del Fauno, the Temple of Apollo and the Temple of Jupiter. Napoli to Pompei is not too far, you have to take a train at Napoli Centrale. Have a look about Vesuviana, it is down the main station hall. Your route to Pompei by train will take around half an hour and the price for the ticket is just 3 euro. We will prefer to address you to another amazing scenario, the Ruins of Herculaneum, the former city under the volcano, that was completely covered by ashes, lapilli, and magma. 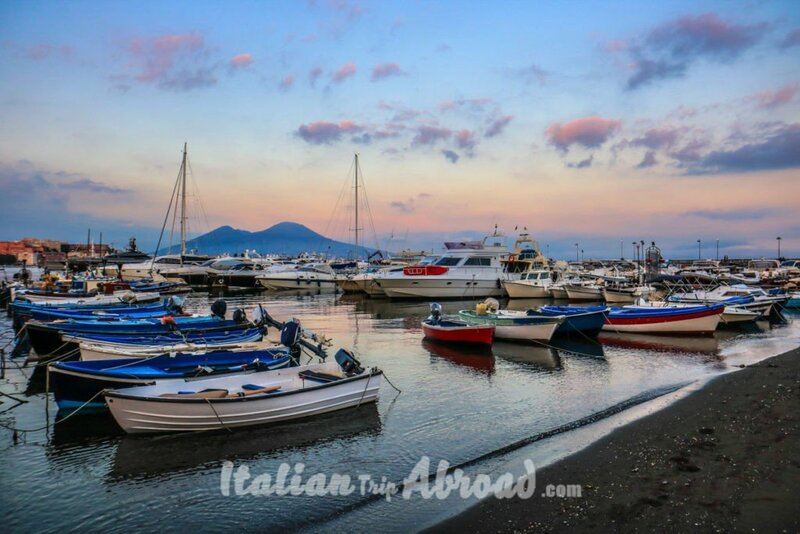 Capri, Ischia, and Procida are three amazing islands in the Gulf of Naples. Those are just an hour away from Naples by boat. In your Napoli itinerary, you should put on your list to visit that three small gems. Ischia is known for the majestic Aragonese Castle, built on a rock near the island. There are also beautiful gardens such as Gardens of La Mortella, Gardens of Villa Ravino, and beautiful hikes and nature. It’s about an hour ferry ride from Naples. If you have enough time then definitely pay a visit. Ischia is different from Capri and is less touristy but the view from the castle is beautiful and it’s pretty empty. Capri is a charming island that’s off the coast of Sorrento, famous for its gardens and rock formation in the water, and of course the Blue Grotto. Capri is the type of place where you can either spend one day or a few days. Racier is Procida, that have less tourist flow. The prices are even low and the island is really natural, keeping the status of fisherman’s towns. Take the chance to have a day trip from Naples, exploring the gems on the Coast. The National Archaeological Museum of Naples is an important Italian Museo Archeologico, particularly for ancient Roman remains. In your trip, you can’t miss exploring Naples Italy most famous museum. This museum is preserving artefacts found during excavations for the construction of the metro. Artifacts from different ages. It is also the 3rd museum in the World for the importance of the Egyptian’s artefacts collection. Napoli Sotterranea it’s right in the historic centre of Naples. To visit Napoli Sotterranea you don’t want to go through the maze of catacombs without a guide especially if it is your first time in Naples. You can access to Napoli Sotterranea every day from 10 am until 6 pm. There is a chance to purchase the tickets online or even at the local office. For adults, the tickets are 10 euro and 8 euro for reduced tickets. There are guided tours in English as well which run every two hours, at 10 am, 12 pm, 2 pm, 4 pm, and 6 pm, and the best thing is that you don’t need a reservation! 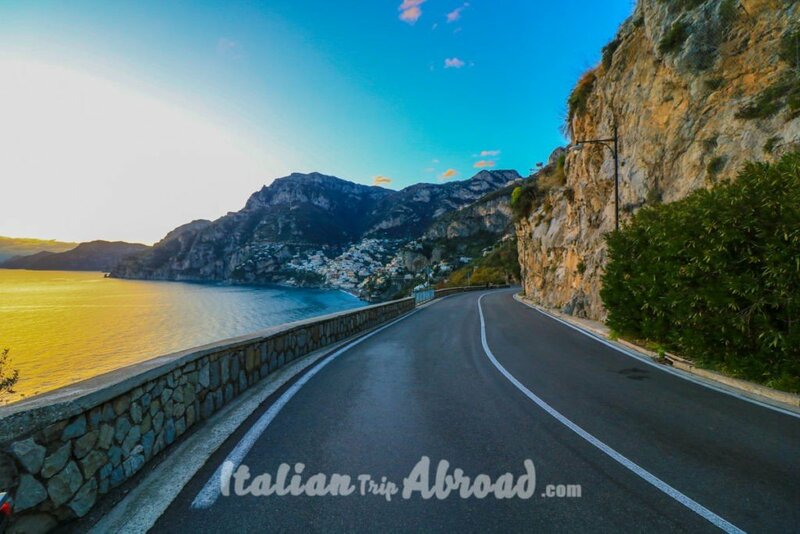 The Amalfi Coast has to offer a longline coast coming from Castellammare di Stabia, going through amazing landscapes and awesome beaches, until and over Salerno. The Amalfi Coast is the perfect Italian romantic getaway, a place suitable for couples. Also, along the way you can shot basically everywhere you rest your eyes. In your day trips from Napoli, Amalfi coast need to be on the top list of the best things to see in Naples Italy. The distance by car, from Napoli to Amalfi Coast is around 1h and a half but keep in mind that usually, the roads get busy during peak time. Even if you will spend just one day in Napoli you must eat as much as you can. Starting from the breakfast and ending up with an aperitif after dinner. We have a lot of specialties but Napoli in one day won’t be enough to eat everything. 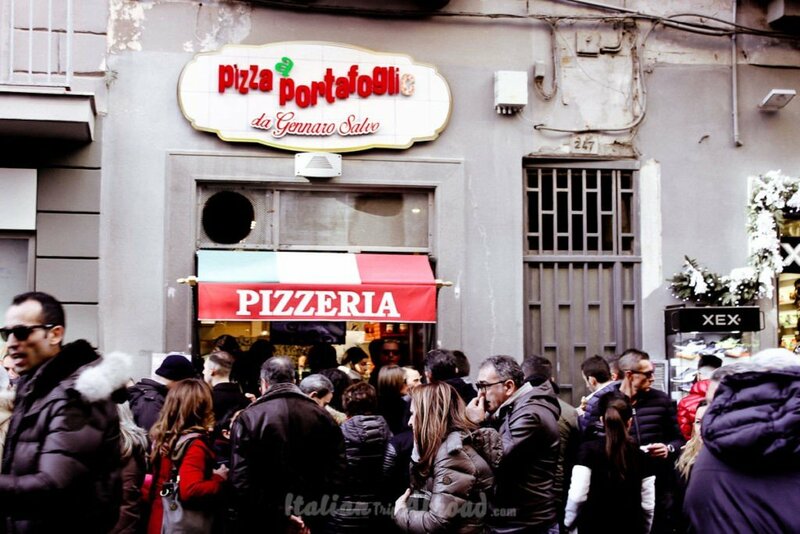 One of the most important things you need to do, eat is the best pizza in Naples, Sorbillo. According to Lonely Planet, Napoli is a city for food lovers. We thought of a culinary itinerary for Naples. As you know in Italy, but especially in Naples, the coffee is on the top of the consume. Start your morning in Naples with an espresso. If you want a bit of milk you can ask for a macchiato, that can be even cold as a macchiato freddo. If you want just steamed milk, you can ask for a schiumato, that is Alessia favourite. To eat a croissant is the best, you can have it with cream, nutella, chocolate or jam. There are many other things as Bomba, it is meaning a Chocolate or creamy bomb, so tasty. A babà. It is a typical cake with rum. Try and tell us. In Naples is good to eat pasta at the first. Tomato sauce, basil and olive oil. Simply and tasty. Put it in a seafood variety and it will be amazing. Try to go in the area of Via Caracciolo or Mergellina, they will serve you the best seafood in town. Especially, check for Borgo dei Marinari, it is down the Castel dell’Ovo, just discover the are and follow your nose. Is I know you have done a little snack already in the morning, but in Naples we eat at everytime small but rich portions. The best way to enjoy it is to take a Cuoppo. A cone filled with seafood and fried pieces. It will be filled with fish, squid, prawns and many more. Squeeze a lemon on the top for a better taste. A drink is the best in the afternoon, better if it is with a nice landscape. Take a Spritz at Terrazza Calabritto, on the Riviera di Chiaia, the trendy street of Napoli. Beer or wine doesn’t matter, in Naples everything’s amazing and most is homemade. At the evening we will going for a queen Pizza. Please, take all the pizza, but don’t ask for a pineapple pizza, or you will be kicked out from the restaurant. Check our full list of best pizzerias in Naples by locals. This is an unique things in Naples. We have been everywhere and this little thing make the difference. In Naples you will find something open at any hour, even in the middle of the night, at 3 or 4 o’clock in the morning. Never, anyone will tell you that the kitchen will be close. So for the midnight sneak we will suggest you a Graffa. A kind of sponge cake with sugar on top. The words can’t match the taste. Try it. Just two hours away there is Rome. It will be a chance to find a cheap flight from Italy. Or, if you want Rome will be your day trip from Naples. From Napoli Centrale every half hour, there is a fast speed train that will take you to Rome. The ride to the Capital of Italy will take just 50 minutes and the prices are on average. Check the offers by Italo Treno, that will be really cheap if you book it in advance. Naples is full of love and all the people are so lovely, always ready to help. In your Napoli itinerary of what to do in Naples Italy in 2 days, you will just need to follow your emotions. Find the spot for the perfect photography of Naples is so easy. Stop everywhere your eyes want, it can be the landscape you will remember forever. In your travel itinerary, you should consider spending more than 2 days in Naples Italy. You will be so overwhelmed with things to do in Naples and places to don’t miss, that will make your stay over. We will assure you will fall in love with this city. Despite the common sense, that wants Napoli as an unsafe city, we will convince you that Napoli is safe. 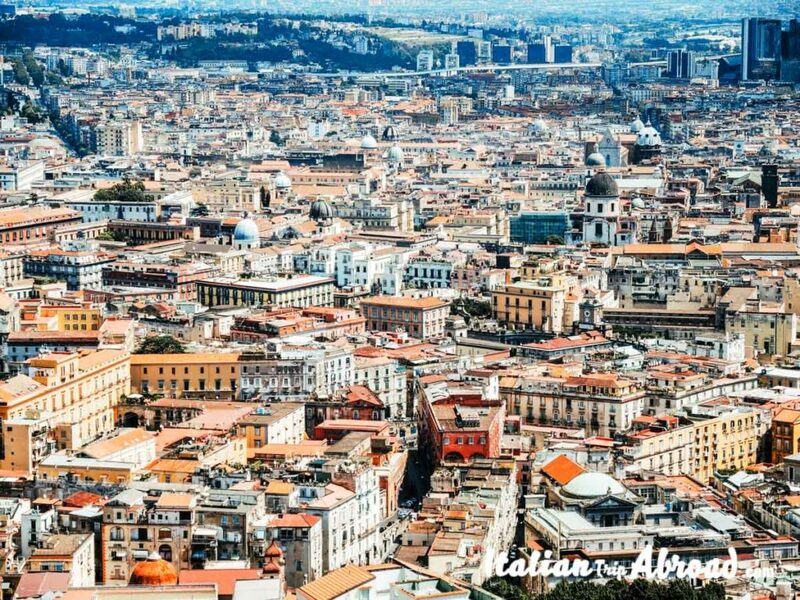 Naples is safe to visit as solo as well, so don’t be afraid of what the people say, try by yourself. If you think one day in Naples Italy is not enough you can plan an itinerary about 3 days in Naples, instead. 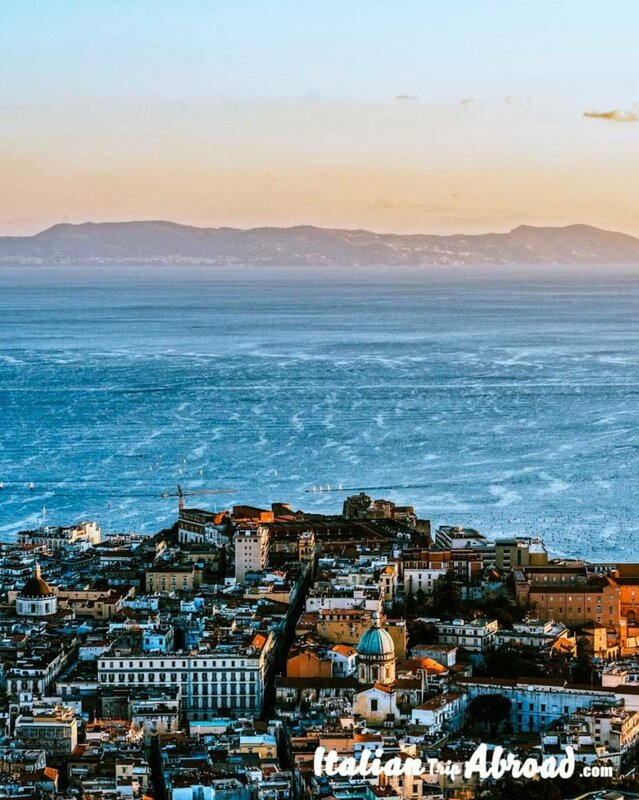 How to spend 48 hours in Napoli and live like local – Eat, love and repeat! There is just one airport in Napoli. The Naples airport “Capodichino” is easy to reach from the city centre. From Naples Airport you can take the bus “Alibus” going towards the city centre for only 3 euro. The bus will stop you in Napoli Centrale which is the main train station. From there you can reach any destination. You can buy the tickets on board or to the shop inside the airport. If you are in Naples by Car and want to know how to get from Naples airport to city centre, we will assure it is easy as well. Just be careful during peak time you will have a lot of traffic on the highway. Alessia for example, she lives in Fuorigrotta close to the stadium “San Paolo”. Every time she needs to go to the airport have to allow a bit more time than usual because of the traffic. We will suggest you don’t hire a car. You don’t need it to discover Napoli. It is a peaceful city and walking friendly. You can enjoy the views and discover it by public transport. The bus and metro are not the best service system in Europe, but be patient. As we have said before it is safe, but be careful as any city in Europe and in the World. On the bus take your value as close to yourself, they tend to be crowd and pickpocketers are everywhere. Napoli is cheap, so don’t think you can break the bank. The Quarters of Napoli are the most suggestive, the lights going inside the narrow streets are the best for every photographer, but choose well where to go, not every borough is safe and friendly. If you want to discover more, take a guide with you, it is safest. If you think to find the snow in Naples, it is unlikely unachievable. In Naples doesn’t snow often. It is rare that it happens. It is easier if you visit Napoli in the coldest months, January or February to the see the Vesuvio white. The Neapolitan will say that the Vesuvio has got the white hat on top. Usually, the best time to visit Napoli in Italy is during springtime, as it is not too hot, neither cold and you can enjoy better your travel. Napoli is worth to go even for half a day. It is one of the most beautiful cities in southern Italy. Is worth to visit Napoli for 2 days, but you will miss a lot. Napoli is amazing and two days are making you just want to come back. It is the food, the landscapes, the breeze of the sea, the flow and the vivacity of the city. If you are planning your trip to Naples Italy, is well to know some places where to stay in Naples and places to skip in your research. Most of the touristic website will suggest you or plan for you to stay in accommodation around the main train station. Piazza Garibaldi and around are cheap but are places where we will not suggest to stay for first timers. Better to spend a bit more and stay safer. It is not true with all the accommodation, the area is improving a lot, so some places are really hidden gems, but look well and try the best. Stay on the top of the hill of Posillipo is the best, but it is even the most expensive. 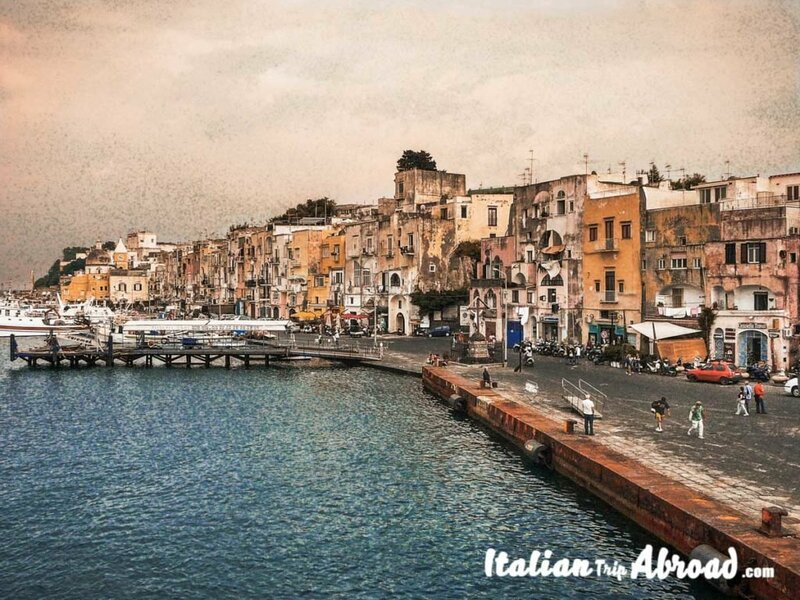 As neighborhood we will suggest to stay at Portici. It is just 12 minutes away by train, taking the vesuviana from Piazza Garibaldi. It is cheap and there are many Air Bnb available in the area and Hostel and Bed and Breakfast. In Portici you can visit the Royal Palace, the first Italian Rail Station and the Borbonic Harbour that will take your breath. We have included that because Toti is really proud of the city where he is coming from. So be ready to send us any request about that, we will help you as much. Portici is near by Ercolano, the former Herculaneum where you can visit the Roman Ruins and the interactive Museum “The Mav”. I love this part of Italy! It is absolutely stunning. Great tips for navigating it. Yep, you are right! Southern ITaly is amazing. Wow, looks like a very busy trip!! It is so beautiful and looks like a place I would love to visit. I have never been to Naples and I can say that this is a perfect destination getaway for my whole family. I will def add this to my bucket list, thanks for your guidelines. I never really thought about going to Naples before, it looks beautiful though. May need to add it to my want to do list. I wonder why you shouldn’t ask for a pineapple pizza. But this place looks so fun, it seems that they value their food so much and they are so passionate with their cooking. I would love to travel more especially to places with lots of interesting cultures and customs like in Italy. Italy is such a beautiful country. I am so bummed we didn’t get to visit Naples when we visited over a decade. Hopefully, we take a trip there soon. I love Naples so much! You highlighted all of what makes it such a special place to visit. I have always found Italy so amazing! Thanks for an awesome guide! I need to save your post for my future reference for when I visit the place. I love Napoli, it’s a city that you can’t get enough of. I love how chaotic it is, which gives the city it’s charm. The views from the hills over the city and the volcano are stunning. And the food, so good! Looks like a great place to visit and these photos looks like stunning. I would love to visit here. Thanks for sharing. Thank you for sharing this. I must say that Naples is an interesting place. I was a bit overwhelmed by the traffic and how busy it is.